Blog> How Can Nano Tungsten Disulfide be used today? Single-layer Nano tungsten disulfide has two dimensional ordered stratification structure and unique physical and chemical properties, and its anisotropic layered structure has excellent optical, electronic and mechanical properties, as well as high specific surface area, surface effect, quantum dimension effect and small size effect. It is widely used in many fields such as electrical materials, Nano-sensors, Nano-catalytic materials and Nano-lubricating materials, and has been one of the hot new functional materials studied abroad in recent years. As a medical contrast agent, tungsten disulfide can be used in the treatment of light and heat from now to the future. This is because tungsten disulfide is a layered 2d material with hexagon crystal system, which has strong absorption and good biocompatibility in the near-infrared (NIR) region. 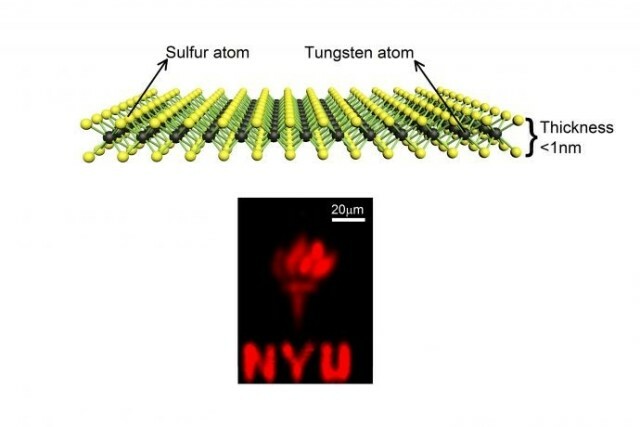 Recently, researchers have developed multifunctional Nano tungsten disulfide two-dimensional materials by tracking WS2 to assess their location in cell and tissue environments. Combined with medical diagnosis, imaging, and treatment, it is widely used in the detection and analysis of biomedical fields, cancer treatment, toxicology, cell imaging, antibacterial and other aspects. Tungsten disulfide is a kind of layered two-dimensional material with the hexagonal crystal system. It has the weak interlayer working force and low bond energy, and it is easy to shift in the friction process, so it has a low friction coefficient. Besides that, Nano tungsten disulfide can adsorb and fill on the uneven surface of the material in time, so as to play a certain role in self-repair. Transition metal Nano WS2 can keep excellent lubrication performance at -273~425 ℃, which is superior to the traditional lubricating oil. Tungsten disulfide is widely used in military, aerospace, satellite, spacecraft and other high-tech fields because it can adapt to various harsh conditions of high temperature and high pressure, high vacuum, high load, high speed, high radiation, strong corrosion and ultra-low temperature. Tungsten disulfide is an indirect semiconductor with the large specific surface area. Like tungsten oxide, it can also be used as a photocatalyst to absorb energy in visible light and jump to generate electron E and hole H. Holes react with water to form hydroxyl radicals •OH with high reactivity and strong oxidation, which can degrade organic dyes or organic compounds of large molecules into organic small molecules and inorganic ions. Like other types of tungsten heteropoly catalysts, tungsten disulfide can also be used in the petrochemical industry. It has the characteristics of high cracking performance, stable catalytic activity, long service life, low toxicity, thermal stability and good chemical stability, and can be used as an effective hydrotreating catalyst for hydrocracking and hydrodesulfurization in the oil field. In the new energy field, tungsten disulfide is one of the most anticipated materials. The structure of tungsten disulfide is similar to that of grapheme. Tungsten disulfide has a lamellar structure connected by weak van der Waals force, and its size is generally nanometer scale. There will be a hollow internal space and gap between the layers, which will have a large space proportion and can be used to effectively store hydrogen and lithium. The thermal stability of tungsten disulfide is good, and the material can be used repeatedly and charged and discharged circularly. It is an excellent material for energy storage battery, so it can be widely used in solar cell, fuel cell anode, lithium battery anode, super capacitor and so on. Next: How Did Electric Cars and Smartphones Trigger the New Gold Rush?